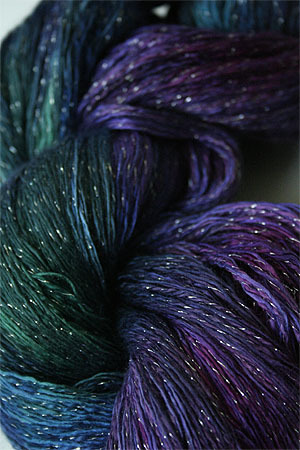 From intensely dark indigo, thru the purple, and turquoise, then off to pure jade and teal, this is a beautiful rainbow of jeweltones. 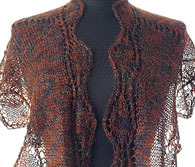 Add some glitter in the lurex, and you've got a fantastic dk weight cashmere and silk ready to go the distance with a shawl or wrap. 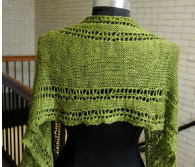 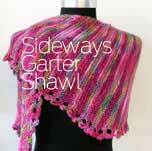 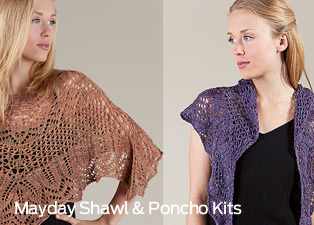 Fantastic for extra long, wrapable scarf knitting projects, too!